The DF5-0 is a fixed mount in-ceiling enclosure from Pelco which has been designed with a similarity to the Spectra III™ Series to complement existing security operations. The DF5-0 in-ceiling enclosure comes with a NEMA Type 1/IP20 rating, a plenum rated aluminum back box, a smoked acrylic dome, and a steel mounting bracket. 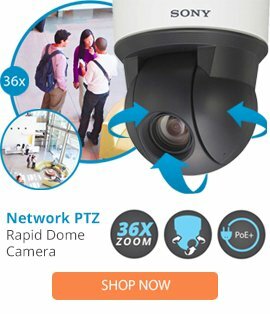 This high grade fixed mount enclosure has a low profile for a discreet security and surveillance application, offers a fitting for the smaller camera/lens packs from Pelco with the 5” interior, comes with a 360 degrees positioning rotation, and is completed with an easy installation method that enables for the dome to be used when required.